Drumroll Please! We are FIVE this year (July). Reading Notions shows how far we’ve come, and how far we have to grow. But most of all Q-bies, how important each of you is to us. Thank you for sticking with us. It’s here! It’s here! 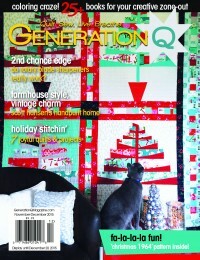 We showed the cover on Facebook with this beautiful pattern by Kari Carr of New Leaf Stitches. 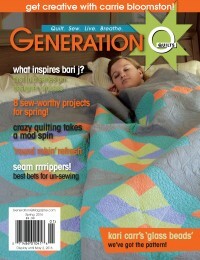 It’s a lovely cover and a sweet quilt. 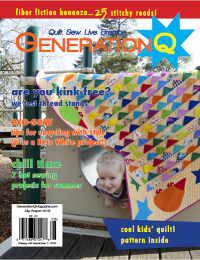 This issue’s Playdate designers include Bea Lee, Melissa Dunworth, Minki Kim, Scott Hansen, Cassandra Ireland Beaver, and Becky Goldsmith. 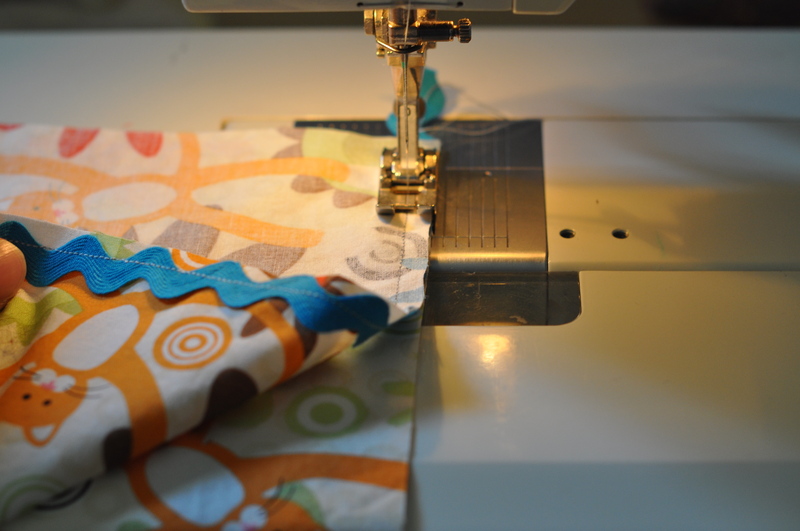 We feature pillowcases, welcome spring tags, quilts, and a We Sew 2 bed caddy project for keeping books by the bed in a safe and fun place. Spring 2016 brings a couple of new features: Inspiration and Process and Jump Start. 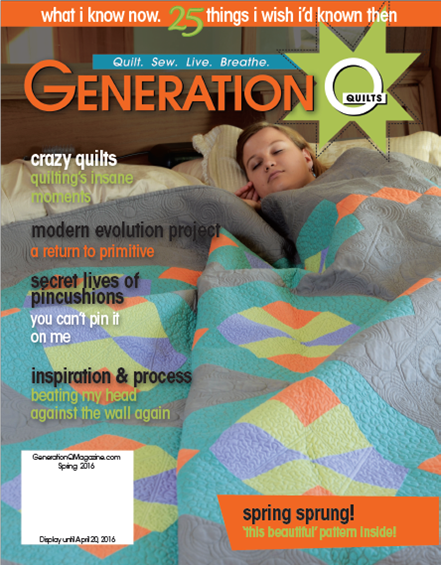 Inspiration and Process features hot designers sharing the process they go through in creating a new fabric line, quilt or other project. 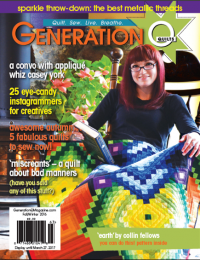 This issue features Bari Ackerman of Bari J Designs, and is quite the fascinating read. In Jump Start, Carrie Bloomston starts with, “Creativity is the new black. It’s everywhere!” Its Carrie’s open invitation to start creating, right in your kitchen, with berries and a pencil. Oh now dear Q-bies you’ll have to get the issue to read the rest of where this is going! 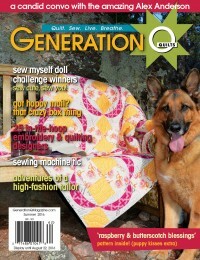 This issue’s Test Drive is all about the Seam Ripper. We all have one…or six. But which one and why?! And then Slosh. Oh this La Sarta is a beautiful spring drink inspiring it’s own creativity. Bill Volckening’s piece, Kalakoa! The Wild Child of Hawaiian Quilting Has Royal Roots, tells the story of a very different side of Hawaiian quilts, their royal lineage and lack of documentation and mention. 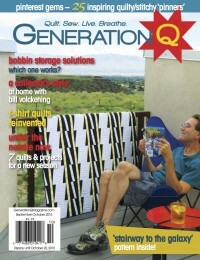 Did you know you can Subscribe to Generation Q Magazine? Simply follow the link and never miss an issue!